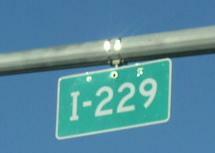 Interstate 229 is a 12-mile loop around Sioux Falls. 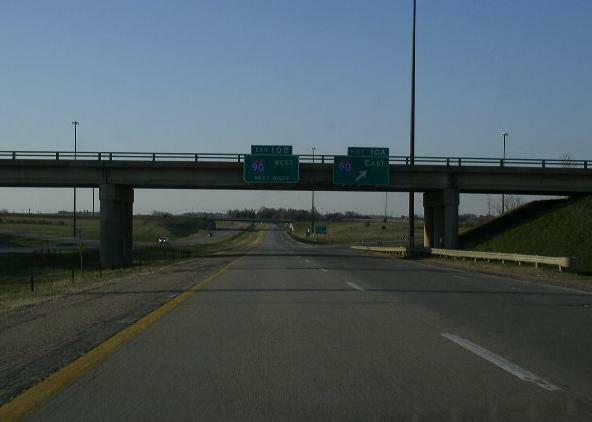 This runs from a junction with Interstate 29 near the Minnehaha/Lincoln County Line on the southwest side of Sioux Falls, to the northeast corner of Sioux Falls, at Interstate 90. 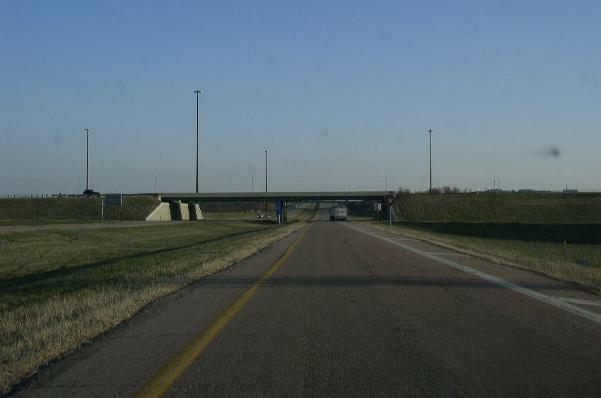 What makes this highway interesting is the northern end point. 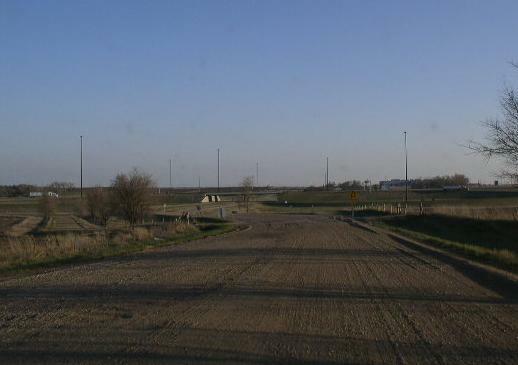 After the ramps to I-90 it runs into a Township Road. Less than a quarter mile from the ramp to westbound I-90 the pavement changes to a gravel surface. 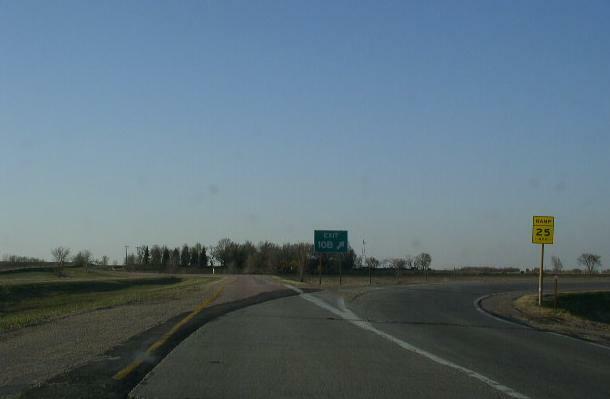 While in South Dakota, I-229 is not multi-plexed. 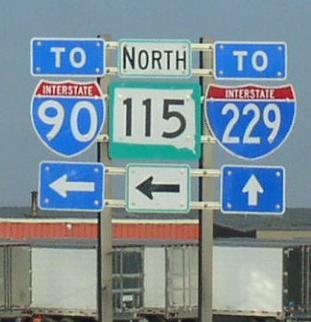 Interstate 229, crosses the following interstates in South Dakota. 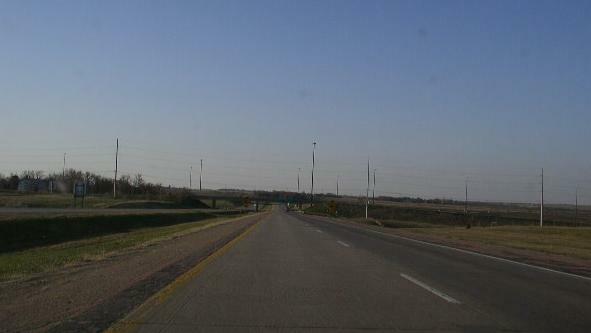 The one mile BGS on NB I-229. A half mile BGS on NB I-229. 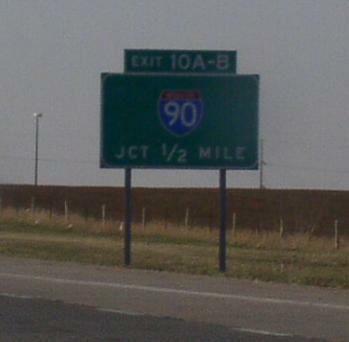 A marker fo WB I-90 on NB I-229. 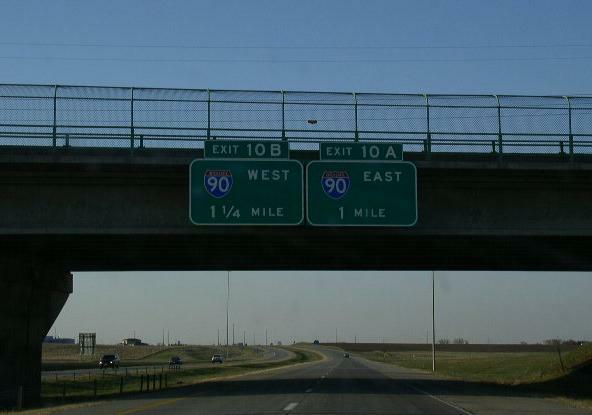 NB I-229 at WB I-90. 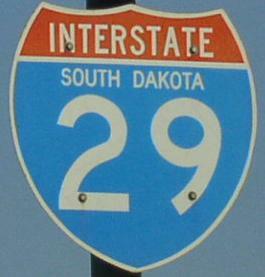 Branches of I-229 in South Dakota. 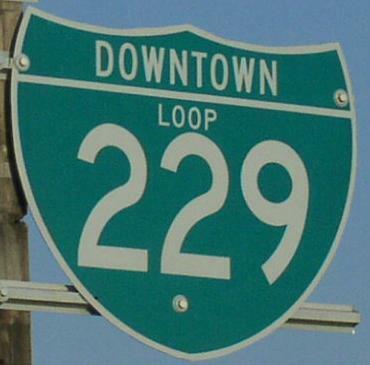 Info on the parent route to I-229. 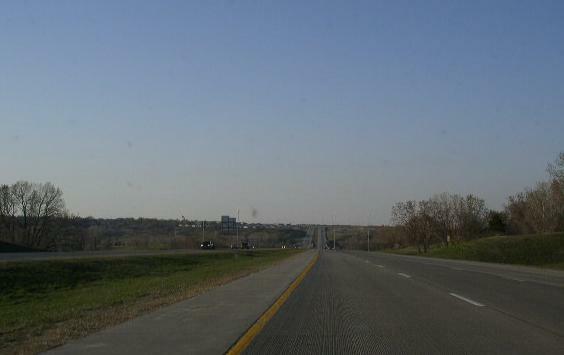 NB I-229 east of I-29. 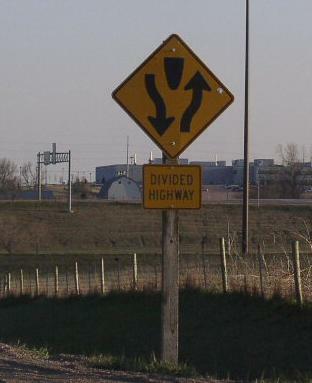 A guide marker on EB SD St Rt 42. 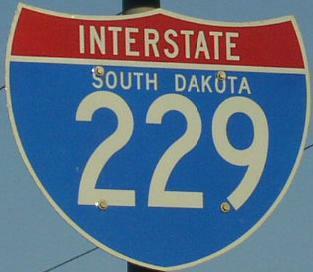 NB I-229 north of SD St Rt 42. 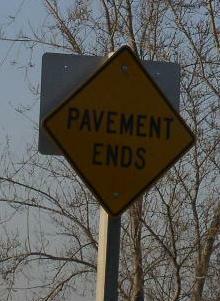 A street sign on Rice Street. 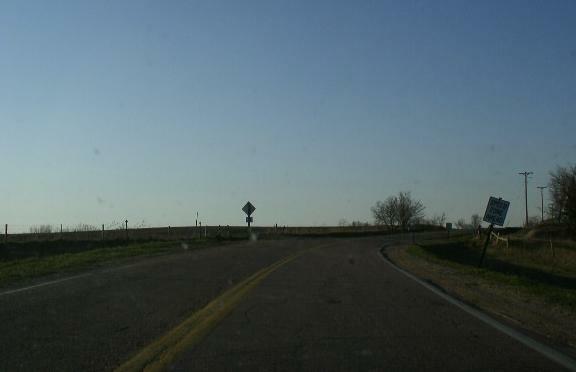 A guide marker in Sioux Falls on NB SD St Rt 115. 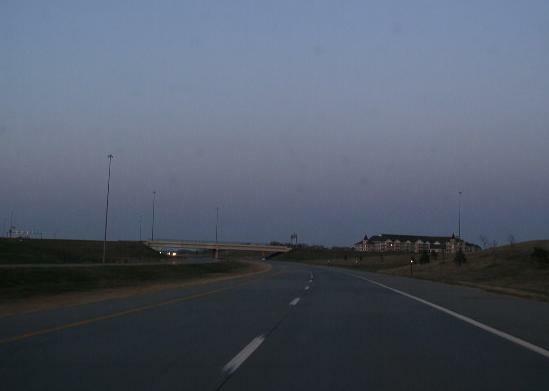 NB I-229 north of Benson Road. 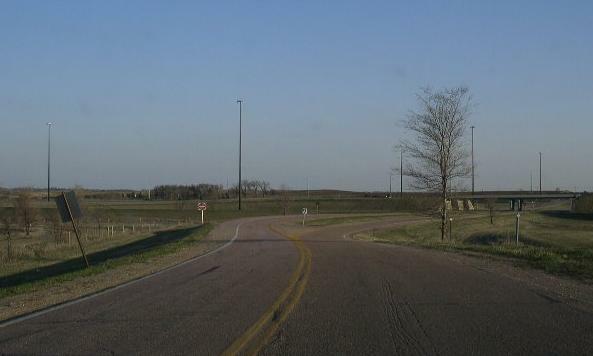 The northern end of I-229 at a Township Road. 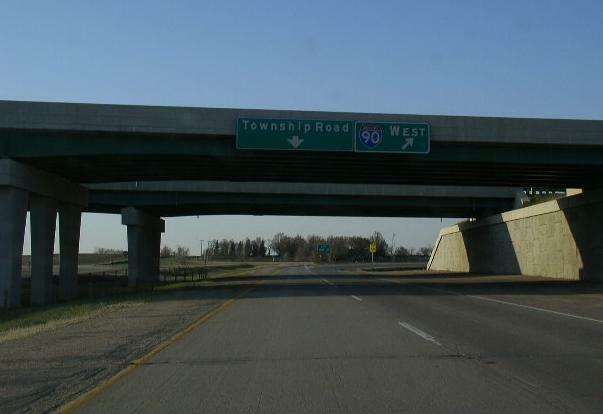 The Township Road runs straight and the ramp to WB I-90 branches to the right. The pavement north of the ramp to WB I-90. 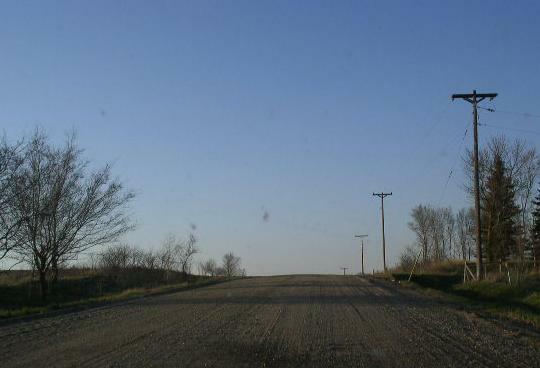 Looking south at teh end of the gravel Township Road. 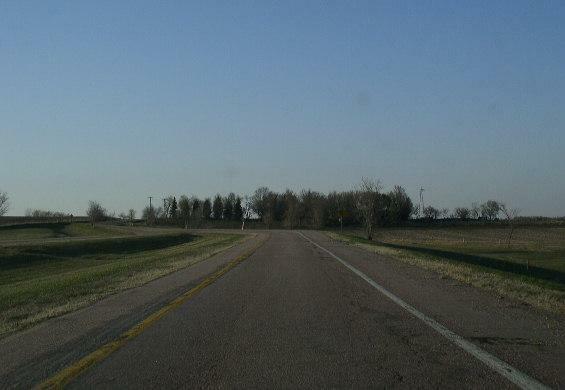 This is where is turns from a gravel roads to a controlled-acces highway. 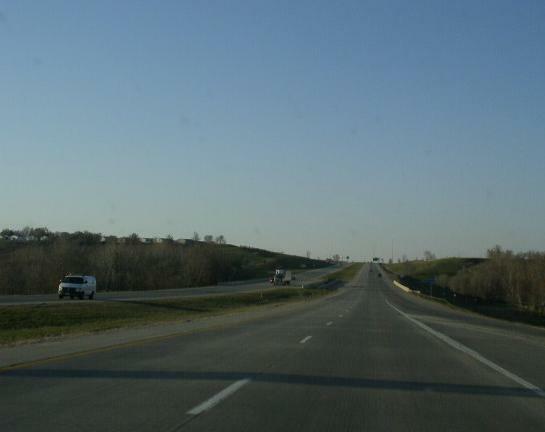 The start of SB I-229. The first SB guide marker.